You’ve finished signing all the closing documents on your new home. You have your keys in hand and it’s finally official – you are a homeowner. Or you’ve refinanced and you have a new loan and a new lien on your property. But what happens after your mortgage closing? What Is A Mortgage Closing? The closing, also referred to as “settlement,” is the final step when buying or refinancing a home. At closing, you and all other parties in the transaction sign the final set of documents. Signing the documents and recording them with your county transfers homeownership from the seller to the buyer. You become the legal owner of your new home. For a refinance, closing your loan places a lien on your property. Only after the loan is repaid does the lender remove this lien. The mortgage closing may vary slightly depending on where you live. 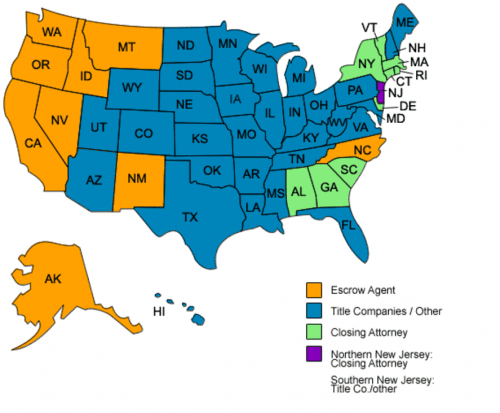 Some states require real estate closing attorneys to conduct the transaction. Other states may only require a title company representative be present. There are several things you may want to do after closing (housewarming party! ), and there are a number of things you should do. Mortgage Closing: What Happens At Your Signing? We will just cover the basic “should-do” items. Secure Your Closing Documents – You may get bunch of paperwork, or you may get a digital file. Regardless of how you receive them, you’ll want to make sure your documents safeguarded. Most homeowners choose to put physical documents in a fireproof safe or a safety deposit box. Change Your Driver’s License – Every state has different laws for address changes. Some states require that you change the address on your driver’s license within ten days, and others allow up to 30. Check with your local state laws. File Homestead Exemption – The Homestead Exemption helps eligible homeowners save on property taxes by excluding a portion of the property value from tax assessment. Rules vary by state. After your mortgage closing, there is a good possibility that your loan will be sold. While this concept may cause fear for some folks, there’s really nothing to be concerned about. The terms of your mortgage loan cannot change. The only change that should occur when your loan is sold is where you send your payments. Generally, assuming it is sold, one of two things will occur. Servicing – Your lender may just sell the servicing of your mortgage. In doing so, you will make your payments to a new entity, but your lender will continue to collect the interest on the payments made. Interest and Servicing – In this scenario, your lender sells your loan, as well as the servicing of the loan. 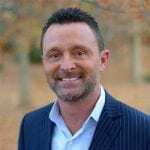 Whether it is your loan and servicing or just your servicing, you should always get a “hello” letter from the new servicer, and a “goodbye” letter from the old. Never send your payment to a new address if you get a “hello” but no “goodbye.” Scammers may be trying to trick you into paying them instead of your real loan servicer. Your loan number and other account details will be included on these letters. This should help authenticate these documents. When you buy a home, it becomes a matter of public record. You should expect to receive plenty of offers for things like home security services, lawn care, and television. One of the more common offers is for mortgage protection insurance. Mortgage protection insurance is similar to life insurance or disability insurance. This type of insurance is meant to cover some or all of your monthly mortgage bill in the event that you lose your job, die or become disabled. Some experts believe that life and disability insurance does a better job for less money. And you may already have more coverage than you think — some private mortgage insurance includes mortgage protection if you are disabled or lose your job. Know how your mortgage will work over time. For instance, adjustable mortgage payments can change during the loan’s term. It’s important that you know when they can change and by how much, so you’re prepared. Even those with fixed loans can experience changes in their monthly mortgage payments, however, if they have an impound (aka escrow) account. Escrow accounts cover expenses for items such as property taxes and homeowner’s insurance. You pay into your escrow account every month when you make your mortgage payment. The lender holds these funds until taxes or insurance are due, and then it pays these expenses on your behalf. If taxes or insurance goes up, so do your mortgage payments. The Real Estate Settlement Procedures Act requires that mortgage lenders analyze homeowner’s escrow accounts at least once per year for any overages. Any overages must be refunding to the homeowners within 30 days. Escrow overages often occur when homeowners are refinancing, as the mortgage payoff typically includes amounts set aside for paying escrows. Often times, homeowners will receive a nice surprise check in the mail within a month after they refinance – a good reason not to assume all of that new mail is junk mail. The closing is the single most important part of the mortgage loan process, as without it, you do not actually own the home. Knowing what happens after the closing can make homeownership surprises, well, less surprising.